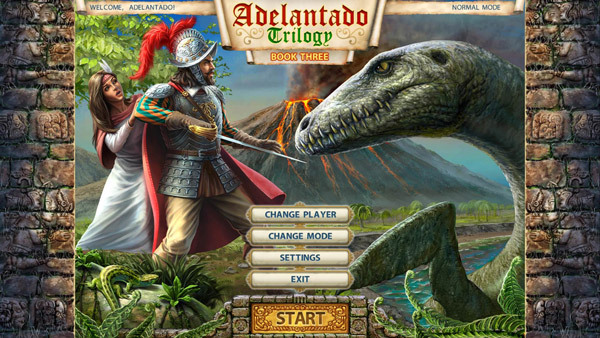 Welcome to the Adelantado Trilogy: Book Three Walkthrough. If you want to get expert times on the hard mode, then you're in the right place. We've provided composite screenshots labeled with step numbers and locations of secrets. Combined with the step-by-step instructions, that expert time should be well within your reach. This final book in the Adelantado triology is a great finish. 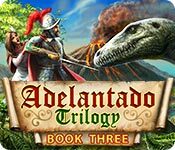 Enjoy the Adelantado Trilogy: Book Three Walkthrough. Game Modes: Choose how fast you want the timer to run out to get Expert times. On the Hard Mode, you usually get 10 minutes less to finish the level and have much, much less in the way of supplies lying around. This Walkthrough is written for Hard mode. On other difficulty levels you will have more buildings to repair (so as to give you a hint of what to build) and more supplies lying around. If a building is being mentioned to be built and there is one nearby to repair, obviously repair it unless you have extra space and the repair cost is higher than the build cost. Upgrades: Become available throughout the game. This version does allow you to exit mid-level and have the game saved. You cannot demolish certain buildings, such as housing and other necessary ones. Production buildings can be demolished with a small return of resources. Workers can pick up boards and pick berries. Your character wields the sword, so you can open barrels and pots, break through bushes, pick up meat, and interact with characters. Time keeps going when you are looking at menus. Build lots of buildings at the beginning for supplies, the earlier the better. You can cancel an action by simply clicking on the red X.